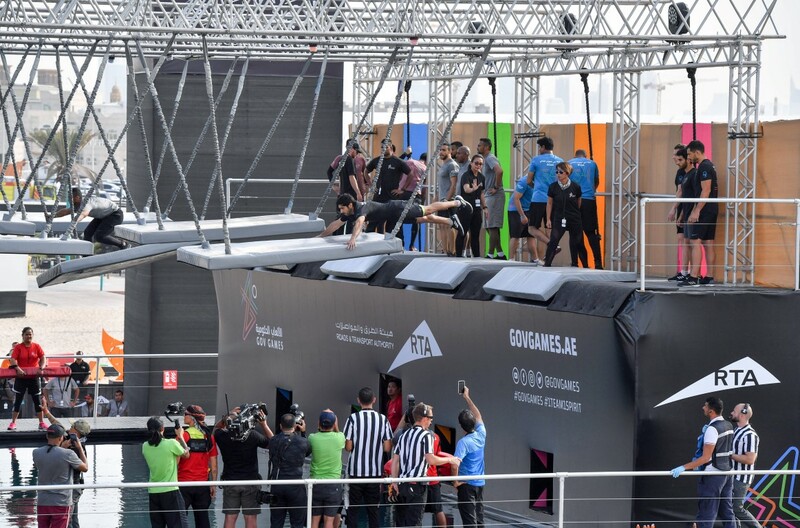 His Highness Sheikh Mohammed bin Rashid Al Maktoum, Vice President, Prime Minister and Ruler of Dubai, attended on Thursday the second edition of Gov Games 2019 in Dubai, which are being held under the patronage and participation of H.H. Sheikh Hamdan bin Mohammed bin Rashid Al Maktoum, Crown Prince of Dubai and Chairman of Dubai Executive Council. A total of 168 local, federal and international teams, including 62 female teams are participating in the games themed 'One Team One Spirit' from 3rd-6th April. The respective men’s and women’s Gov Games champions will each secure a top prize of AED1 million. Sheikh Mohammed was briefed by Marwan bin Issa, Games Director, about various obstacle and levels of the competition. The first initiative of its kind in the world, the Gov Games aim to promote team spirit and collaboration among government employees. The competitions at the games have been designed according to the highest global standards. The winning teams will be awarded the title of ‘Gov Games Champions’. A total prize money of AED3 million is at stake at the Games.